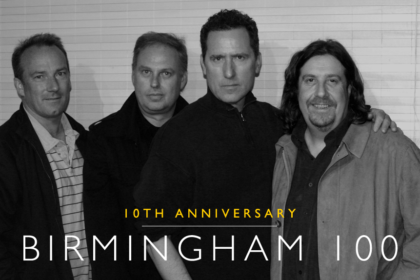 It’s one of OMD’s most iconic songs and gained them their first UK Top Ten – as well as their first international hit single. Enola Gay remains a classic OMD song, yet its evolution has taken it through some turbulent skies. 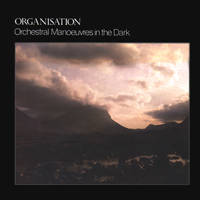 The release of OMD’s second album Organisation in 1980 had seen a shift in OMD’s sound. From the ‘garage punk’ aesthetics that had dominated their debut album, Organisation instead featured gothic, broody tones and soundscapes. 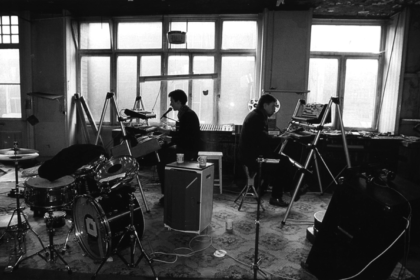 The album owes some of its inspiration, in part, to Joy Division’s second album Closer – an album that Peter Saville had played constantly and which had subsequently seeped into the writing of OMD’s darker album. The death of Joy Division singer Ian Curtis earlier that year had also overshadowed the songwriting process at the time – which had lent inspiration to the funereal tones of ‘Statues’. Yet, in the midst of all this solemnity, was a pop song which seemed curiously out of place with its broody neighbours. ‘Enola Gay’ actually dated back to the era of OMITD, in particular a period where Andy McCluskey and Paul Humphreys were penning new material (much of OMITD’s content actually dates back to the days of The Id). 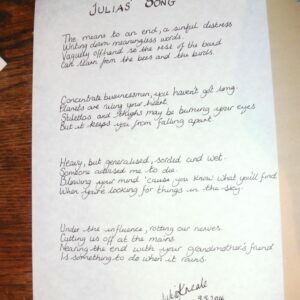 ‘Enola Gay’ (along with ‘Motion And Heart’) had been written by Andy in the back room at Paul’s mum’s house in the week before the first album had been released. Paul’s mum was at work at the time, while Paul was involved in the rebuilding of Hoylake outdoor swimming pool in order to claim his dole money. 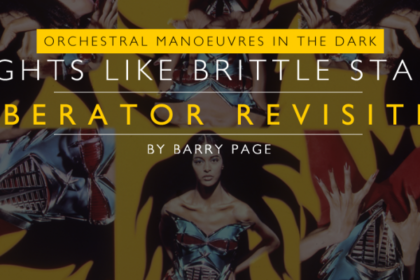 OMD had already toyed with inspirations that had sprung from a curious interest in war themes. ‘Bunker Soldiers’ is one such track, while ‘The Messerschmitt Twins’ is another. While researching the history of the Messerschmitt aircraft in the process of writing that particular song, Andy had chanced upon an article discussing the Enola Gay. It remains a controversial episode of the Second World War and debate still continues today on the moral issues that revolve around the decision to drop an atomic bomb on the Japanese city of Hiroshima in 1945. Andy had already developed a fascination with military aircraft and the morbid decision by the mission pilot to name the plane after his mother was an aspect that struck his imagination. 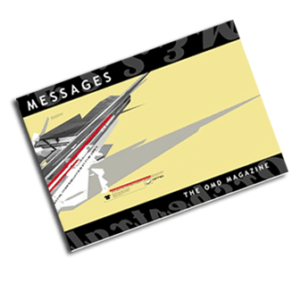 “The idea that a Superfortress, which wasn’t really a fantastic plane by modern standards – it was all riveted together and pretty poky – could drop an atomic bomb and kill so many people, was intriguing” commented Andy in the OMD biography Messages. “I wasn’t interested in the politics of it or the morals of it. It isn’t an anti-nuclear song, nor is it a celebration… and certainly, the way the lyrics are delivered, it isn’t at all positive: ‘You should have stayed ay home yesterday/This kiss will never fade away’”. “They’d been telling me about ‘Enola Gay’ for months!” commented Carol Wilson in Messages, “and then when they brought it in, I loved it! But just to wind me up, they said they didn’t want to release it. They could never decide between credibility and commerciality… we always said they didn’t know whether they wanted to be Joy Division or Abba!”. Not everyone was so positive at the time however. Paul Collister (then OMD’s manager), on hearing Andy playing the tune in the studio, described it as “pop crap”. ‘Enola Gay’ had originally been composed on the trusty Korg Micro-Preset, which had become OMD’s particular workhorse of choice. The bass accompaniment of the song is supplied by a Roland SHO9. In it’s original incarnation, ‘Enola Gay’ had lacked the distinctive drum machine rhythms that give the song its unique identity. In fact the drum elements, culled from a Roland CR-78 drum machine, were the last parts to be added to the song. Early versions of ‘Enola Gay’ featured a slightly different drum machine intro along with a more laid back vocal from Andy. 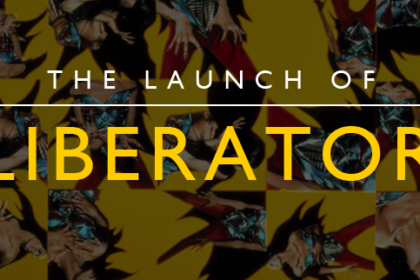 At the time, the band were confident enough in the new song to introduce it into their live performances. 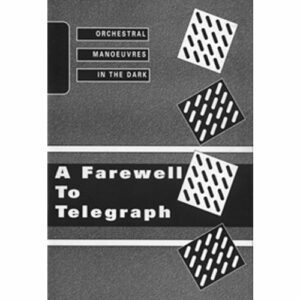 In April, OMD had also recorded a version of ‘Enola Gay’ for John Peel’s show based on this arrangement. Andy and Paul had subsequently spent June and July 1980 penning the material that would form the greater part of Organisation. With backing tracks for the new album laid down at OMD’s own studio The Gramophone Suite, the band then moved to Ridge Farm studios in Dorking where they teamed up with Mike Howlett on production duties. 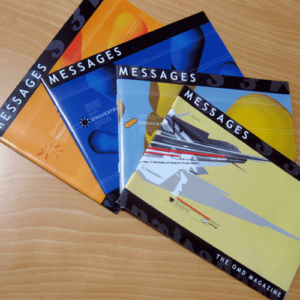 Howlett, formerly a member of Gong, had previously worked his magic on ‘Messages’. The primitive electro-trash of the original had been transformed into a much more polished synthpop song under Howlett’s hand. 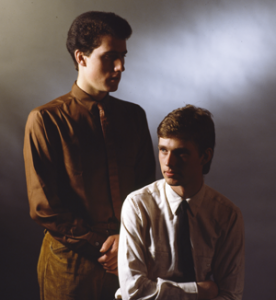 This bolder, pop-orientated approach had elevated OMD from an obscure cult band to a household name. Despite recognising Howlett’s importance in shaping ‘Messages’, Andy had waxed hot and cold over developments with ‘Enola Gay’. After completing the initial recordings at Ridge Farm, Andy and Paul relocated to Advision Studios to begin mixing the album with Mike Howlett. The first week in Advision was spent listing to the various mixes of ‘Enola Gay’, but no one was completely won over by any of them. To add to the pressures, DinDisc wanted a single released before the album was completed. A version based on the original arrangement was committed to tape and DinDisc had even begun pressing the single – before Andy had a crisis of confidence and ordered the pressings to be scrapped. Taking time to reassess things, Howlett managed to get a new, much improved vocal from Andy by encouraging him to just relax and sing along to the speakers. Despite the new approach, the final recorded version of ‘Enola Gay’ was actually assembled from a composition of the various vocal takes from both the Ridge Farm and Advision sessions. Despite Andy’s concerns over the song, ‘Enola Gay’ surprised everyone when it was released in September 1980 and reached no. 8 in the UK charts. Although OMD had made an impression on the public with the success of ‘Messages’ in May the same year, something about ‘Enola Gay’ struck a much stronger resonance in the record-buying public. OMD returned to film an appearance on classic UK music show Top Of The Pops for ‘Enola Gay’, which probably helped give the song its high chart placing. It wasn’t all plain sailing however. Some critics questioned the perceived political message – with the Sounds review flippantly describing the lyrics as “naïve”. Meanwhile, there’s also a suggestion that children’s TV show Swap Shop had vetoed an appearance of the band on the over a mistaken belief that the song harboured homosexual sympathies due to its title! This had little bearing on the domestic success of ‘Enola Gay’, but it was internationally that OMD made their mark with the release. The single took the No. 1 spot in France, Italy, Spain and Portugal and sold more than 5 million copies worldwide. Even today, the song remains popular in many of these countries. 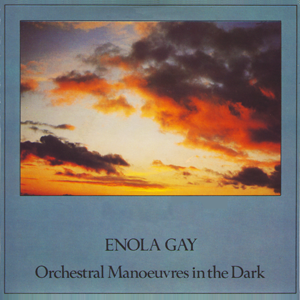 Today, ‘Enola Gay’ remains as one of the most potent weapons in OMD’s live arsenal and has rightly established itself as a classic example of synthpop perfection.